The ‘alternative’ scheme to transform Edinburgh’s former Royal High School into a new music school and concert venue has been approved. 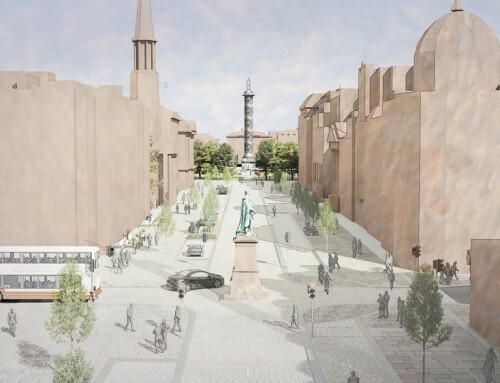 The City of Edinburgh Council unanimously approved the plans. Under the plans submitted by the Royal High School Preservation Trust, the A-listed former school will become home to Scotland’s only independent music school, St Mary’s Music School. City councillors agreed permission should last for seven years instead of the normal three to give the project the maximum chance of completion due to a contract with the developers behind a rival bid for the building. Despite the approval of the music school plans, St Mary’s currently has no right to the building because of an existing agreement between the council and hotel developers Duddingston House Properties, which it is understood may not expire until 2022. 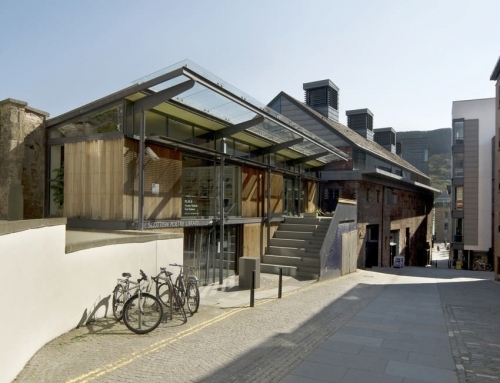 Planning convener Ian Perry said the committee had agreed to a seven-year expiry on consent for the music school because of the unique situation with the other application being appealed. 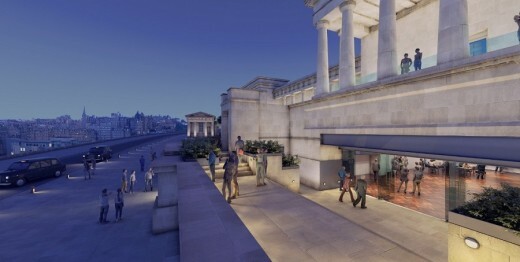 Designed by Richard Murphy Architects and Simpson & Brown, the music school proposals include a performance space located in the main hall of the Hamilton building and two ancillary rooms, and a “glazed slot within the portico floor of the Hamilton building” and “glass balustrade on the terrace to the portico”. New single-storey accommodation is also proposed for the site and demolition of the existing classroom block to the north west of the Hamilton Building and the gymnasium building to the north east of the Hamilton Building. The project was recommended for approval by planning officials last week who said the music school would bring the building back into “long-term, sustainable future use” and would be a “significant conservation gain”. Trust chairman William Gray Muir said: “The former Royal High School is pivotal to Edinburgh’s World Heritage status and our plans are designed to celebrate, conserve and enhance the site for the people of Edinburgh. “By making it home to St Mary’s Music School we also hope to reinforce musical education at the heart of the city’s cultural heritage. 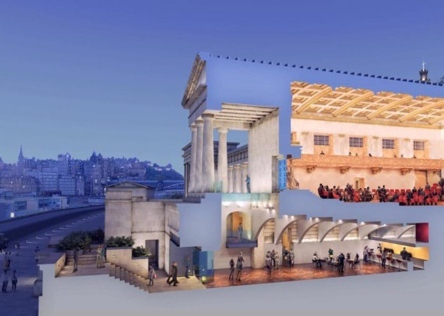 The alternative scheme for Edinburgh’s old Royal High School – to transform Edinburgh’s former Royal High School into a new music school and concert venue – have been recommended for approval. 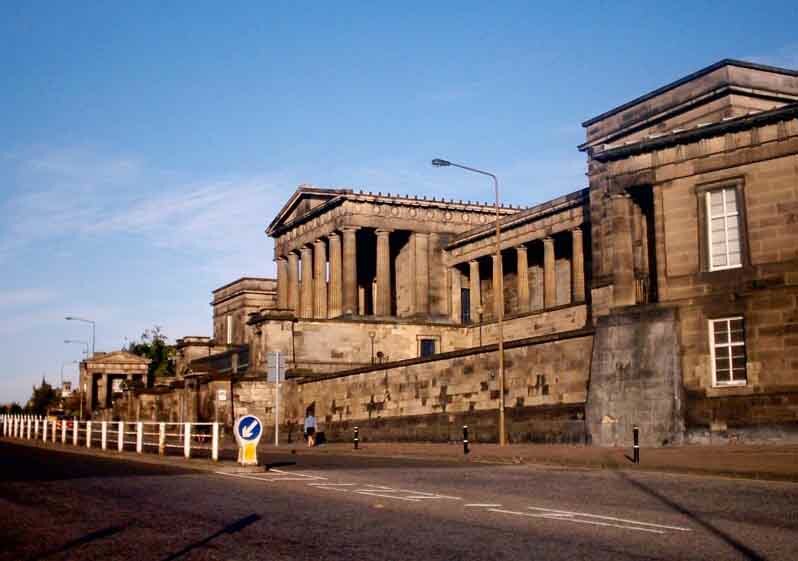 Formally submitted by the Royal High School Preservation Trust (RHSPT) in December 2015, planning officials said the plans to bring the A-listed building back into “long-term, sustainable future use” would be a “significant conservation gain”. 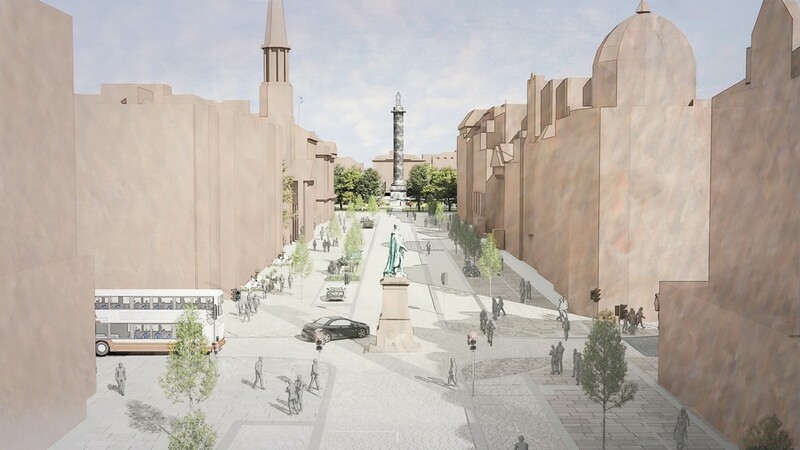 A report to go before the City of Edinburgh Council praised the sensitive approach by Richard Murphy Architects and conservation architects Simpson & Brown, who were appointed to develop proposals for the restoration in September. The proposal was launched as an alternative to a controversial £75 m luxury hotel plan – designed by Hoskins Architects – for the neoclassical building by Duddingston House Properties. 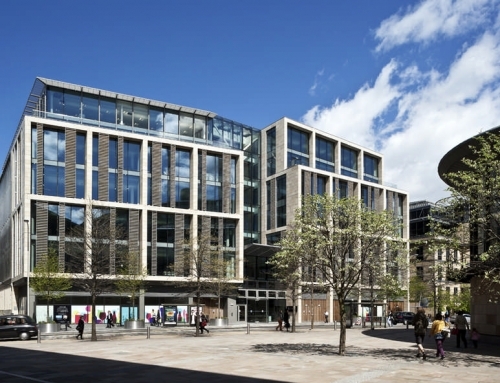 This luxury hotel design was formally dismissed by a single vote last year, though an appeal to the Scottish Government is scheduled to begin on November 28. It had upset many with its bold wings on either side of this important example of Scottish architecture. The latest application, set to go before councillors next week, aims to transform the site into a concert venue and base for St Mary’s Music School. The proposals include a performance space located in the main hall of the Hamilton building and two ancillary rooms, and a “glazed slot within the portico floor of the Hamilton building” and “glass balustrade on the terrace to the portico”. Council planners stated on balance that the RHSPT would have “no adverse impact on the architectural integrity and composition of the building”. 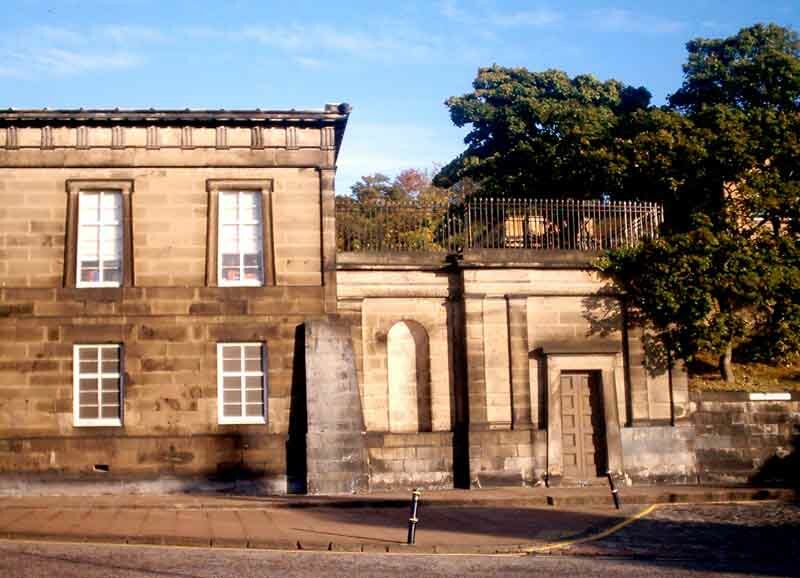 However, it is understood a contract between the council and Duddingston House Properties would not be affected if councillors gave the music school plans the go-ahead. This means the RHSPT could be unable to act on their blueprints until 2022, when the council’s contract with Duddingston ends – even if the hotel developer’s current plans fail on appeal. Duddingston entered into a contract with the council five years ago after they won an open competition to develop the site. Plans to transform Edinburgh’s former Royal High School into a new music school and concert venue have been endorsed by Historic Environment Scotland. 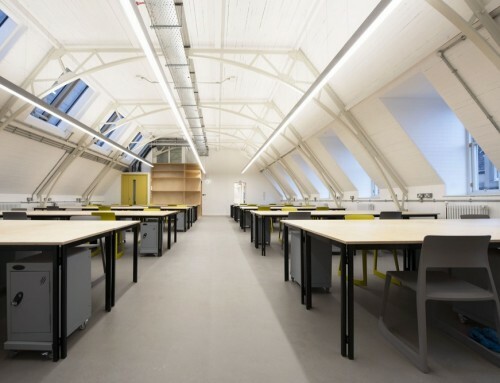 The design is by Richard Murphy Architects and Simpson & Brown. 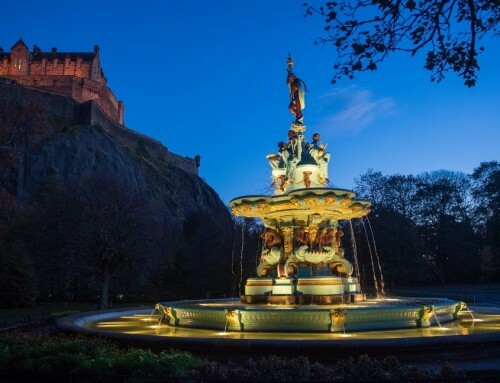 Experts at the national heritage agency said the proposals, which were formally submitted by the Royal High School Preservation Trust in December, represent a “measured reuse of a nationally and internationally important site and building”, reports Construction News Scotland. The bid was submitted as an alternative to Hoskins Architects’ £75m plans to turn the school into a hotel, which was narrowly rejected by councillors later that month. The Scottish Government agency’s opposition to the hotel scheme is believed to have been a key factor in its planning refusal. 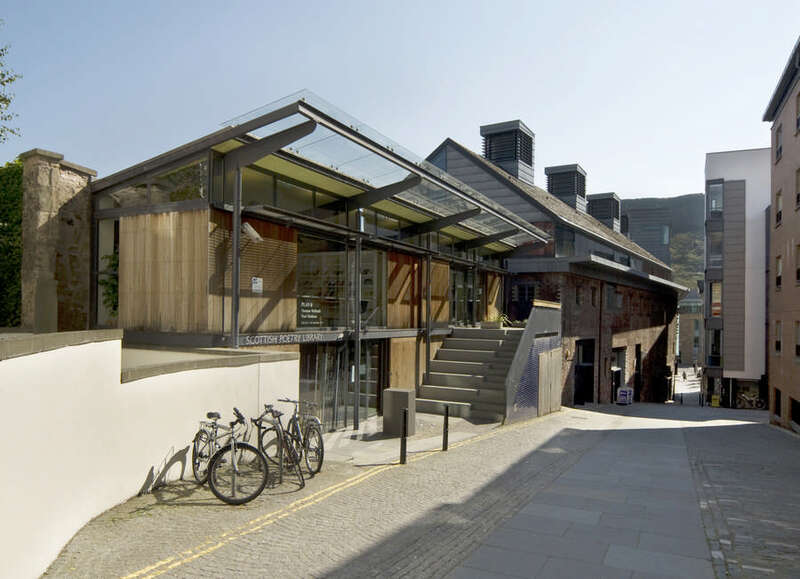 Now it has told the City of Edinburgh Council, which owns the building, that it backs its use as the proposed new home for St Mary’s Music School. Three new perspectives illustrating the alternative scheme for Edinburgh’s old Royal High School have been published by the Royal High School Preservation Trust. One of two competing schemes for the landmark it will see the historic property converted into a performance and rehearsal space for St Mary’s Music School by Richard Murphy Architects. 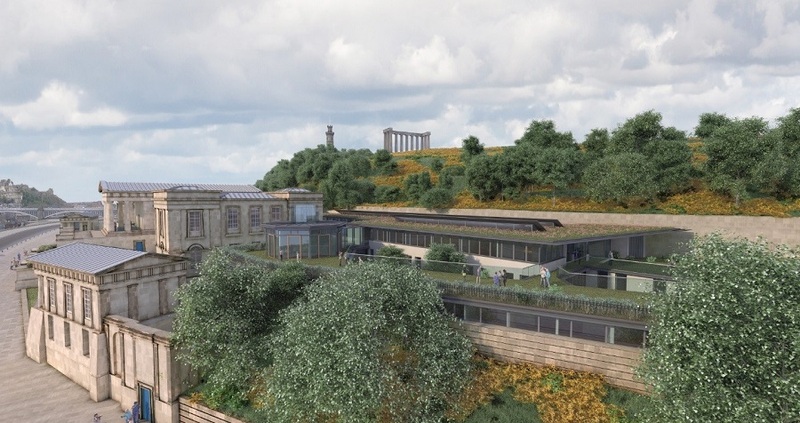 Accommodating 120 pupils the new school will include a 300 seat concert hall within the former debating chamber and a publicly-accessible garden to the west and north of the site. Dr Kenneth Taylor, headteacher of St Mary’s Music School, added: “A new public entrance, grand terraces and the addition of new and near invisible school buildings to the east and north protect both the integrity and setting of the Hamilton masterpiece. Alternative proposals to transform Edinburgh’s former Royal High School into a new music school have been formally submitted by the Royal High School Preservation Trust. Backed by the philanthropic Dunard Fund, the Trust’s vision will provide an alternative to Hoskins Architects’ £75m plans to turn the school into a hotel. Edinburgh’s Richard Murphy Architects and Simpson & Brown were appointed to develop alternate proposals for the restoration in September. Their proposal involves a 300-seat concert hall, three new public performance spaces, a foyer for ticketing, bar and cloakrooms that can also function as a multi-functional space. A new public entrance, terraces and ‘near invisible’ new build elements are also envisaged. Comments welcome to the Editor at info(at)edinburgharchitecture.co.uk marked for publication. Located on the southern edge of Calton Hill, the Royal High School of Edinburgh was designed by Thomas Hamilton and built in 1825-29. By that time Edinburgh’s New Town was well advanced and this was almost the only suitable site left. The Greek Doric columns are based on the Temple of Theseus, overlooking Athens. 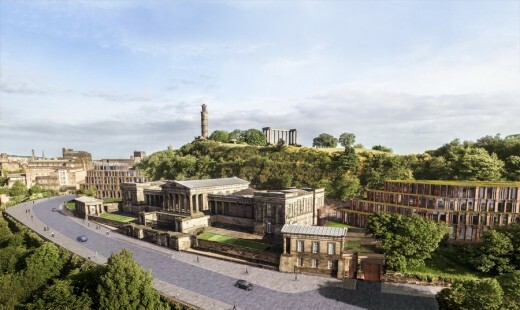 30 Nov – Developers behind the £75m hotel development at Edinburgh’s historic Royal High School are claiming public backing for the project following a survey of local residents, reports Urban Realm. 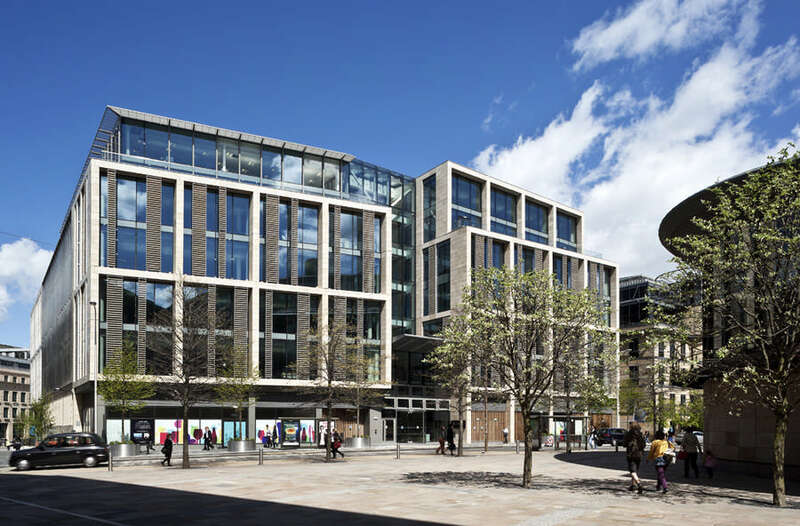 A total of 5,000 people across 12 city wards were quizzed on the plans, the fourth such consultation to be carried out since the project began, with 93% agreed that a hotel was a suitable end-use and 92% backing the proposed Hoskins Architects design. Comments welcome. 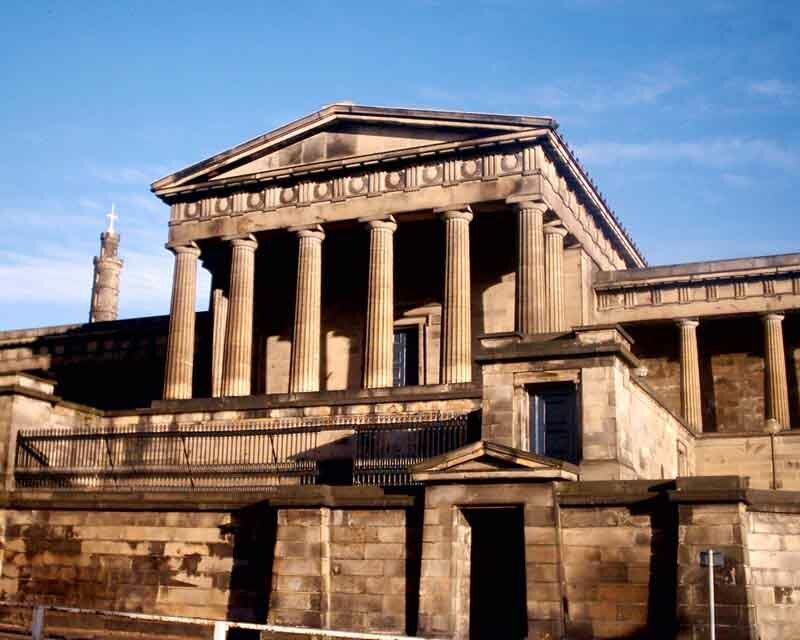 6 Nov – In September the Royal High School Preservation Trust (RHSPT) declared its intent to pursue plans to move St Mary’s Music School into the famous neoclassical Thomas Hamilton buildings on Calton Hill, reports Richard Murphy Architects. Backed by the philanthropic Dunard Fund, the Trust has made a formal legal offer to buy the iconic building and appointed Richard Murphy to develop designs to restore the site as a school, alongside conservation architects Simpson & Brown, as well as create new buildings on the site. The Trust now intends to submit a detailed and fully funded application to the City of Edinburgh Council. New architectural designs by Hoskins Architects for the proposed “world-class” hotel at Edinburgh’s former Royal High School have been revealed and the operator partner confirmed within a planning application submitted to City of Edinburgh Council today. Gareth Hoskins, the architect for the project, says the new designs respond to the comments made by heritage organisations and the public during the comprehensive consultation process earlier in the year. “We’ve listened and taken on board views from a wide range of organisations and individuals through the pre-planning process to develop a fundamentally different design for the site. The design focuses around an informed restoration of the central Hamilton-designed building, repairing its decaying fabric and maintaining the strong sculptural presence of its frontage without intervention. The existing building will be entirely given over to the public areas of the new hotel allowing its spaces to be fully accessible for the first time in the building’s history. The Royal High School is one of the key Scottish examples of Enlightenment Architecture along with the National Monument behind it on Calton Hill. CEC design competition inviting developers to submit proposals for the former Royal High School building. 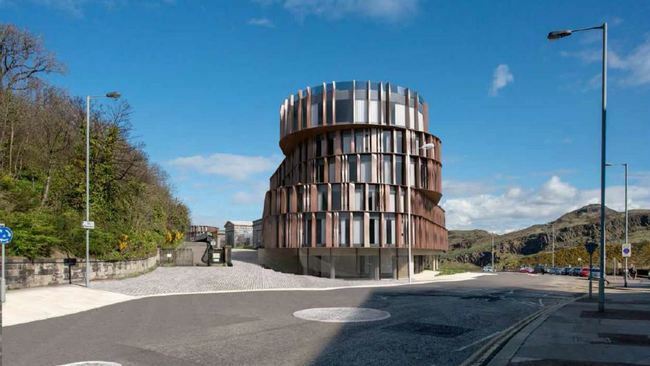 The Development Brief suggests it could be turned into a hotel, restaurant and tourist centre. 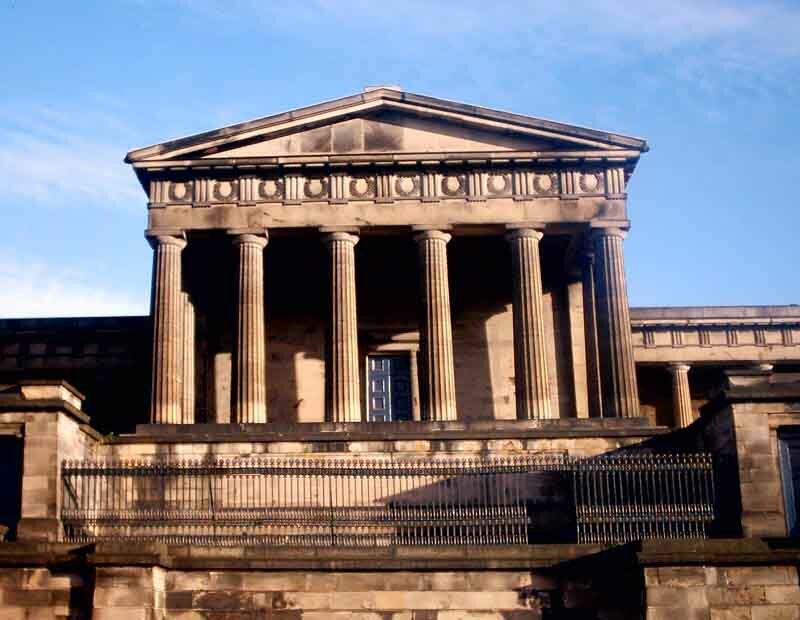 The former school building on Calton Hill is a potent symbol for Scots, esp. Nationalists as it was set to hold the Debating Chamber when Scotland had its first independence referendum in the 70′s; the building is generally held in high esteem. Former Royal High School pupils include Robert Adam, Bell, Boswell and Scott. David McManus lives in Scotland. He is currently studying HND Interactive Media (Web Development) at Edinburgh College.